I want to avoid specifically discussing individual groups, because there are many groups and each is different. If I understand the question correctly I'll try to address it with the general Chassidic scene in mind. 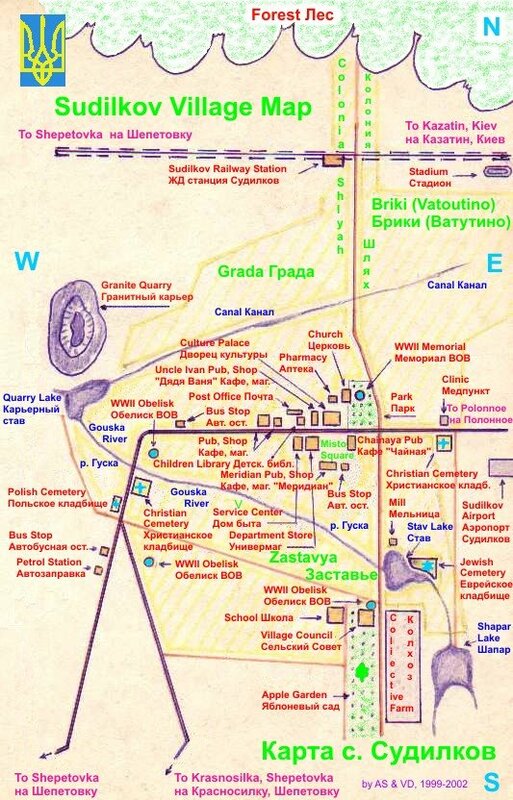 Let's also remember that today's Chassidic world is only a remnant of a vibrant Chassidic tapestry that existed in pre-war Europe – the vast majority of which lived in Poland, where 3 million of them – and many entire groups – were slaughtered, HY"D.
There was a simple man who had no livelihood. His wife constantly complained that he must find a way to support his family – finally she says: "Yankel, please, go to a businessman and watch how he does things. Afterwards you can do the same, and we will have what we need." So Yankel goes and watches. He sees the rich businessman picking up the phones, answering calls, using his computer, filling out papers and barking orders throughout the day. Yankel gets home and his wife tells him, "Well, let's go! It's time to use what you learned." So Yankel gets a computer some phones and papers and begins to exert himself all day. He's picking up phones, hanging them up, writing things, yelling, you name it… but no money. His wife asks him what he's doing – so Yankel says, "I did everything the businessman did!" She says, "And how is it supposed to work if the phones aren't connected, the papers are meaningless and the computer has no software? If there's no product, you can't sell it." So, the Kloizenberger Rebbe said, "This is the sad state of many Chassidusin today; They mimic the movements, but have little idea of what there supposed to be doing. The tragedy is that people begin to think that this is how it always was." In the early years of Chassidus, there was a group with a teacher, a Rebbe, a tzaddik, whose primary role was to lead his disciples on a path to elevate his Chassidim to a more G-dly state. Chassidus has in many ways has gone away from that model, into becoming communities with a communal-head instead of students with a teacher. This is not new – it began not all that long after the Baal Shem Tov. In modern times there are also huge amounts of money, power, institutions and real estate added to the equation, and a Rebbe is often a CEO, trying to advance the interests of his community. In many ways, this would probably be a foreign development to the original derech HaBaal Shem Tov. The conditions Jews were living under at the time of Baal Shem Tov were completely different than they are today, so the true opinion of the Baal Shem is quite hard to ascertain. The various conditions, struggles, realities, challenges – and their solutions – are different than they were in the Baal Shem Tov's day. Indeed, many of the battles have already been won, so to speak, and our current reality is heavily influenced by the Baal Shem Tov's derech; many of his ideas pervade Jewish thinking today. Like all movements in history – Jewish and non-Jewish – there is an evolutionary process that will, over time, take the movement ultimately into other directions and modify it for different times, places, etc. So, the case can be made that although there are many ways that Chassidus has changed, and does not resemble the original article, but if Chassidus is a vision, an ideal, than any means to that end are not a corruption – rather they are innovations that are quite "Chassidic." 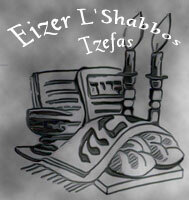 * Ahavas Yisroel – especially to uplift the poor, simple, everyday Jew. He wanted us to recognize how every Jew is holy, and not to look askance or ignore the uneducated or downtrodden. Who isn't involved in this today? I'm not saying that there is none of this in existence, and there's surely room for improvement, but the concept is universally accepted. I'd say that this is directly a result of the Baal Shem Tov's vision. * Anava. To eliminate the ego – especially as it existed in many of the bnei Torah. He taught that "Bittul HaYesh" is the first step to living a G-dly life. 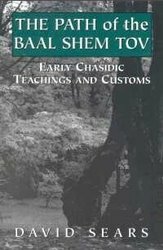 In his time the average Torah scholar was easy prey to an ego trip – which is still the case today – but Mussar and Chassidus (and I must say that mussar is actually a product of, or more of a modification of, the derech HaBaal Shem Tov) are constantly addressing this today just as it did then, and I don't think it has been left by the wayside. The human condition hasn't changed, and maybe this ideal should be addressed more, but the concept is universally accepted (although it was radical in the Baal Shem Tov's day). * Emunah – Belief and service of G-d the primary focus of life. To recognize that G-d is in all things and the focus of life should be around this principle. The Baal Shem Tov's derech is a more mystical approach and the Besh"t's idea of emuna is connected with his desire to make Penimus haTorah (the mystical element) accessible to the masses. This also touches upon the Chassidic/misnagdic machlokes of tzimtzum, which boils town to the question: Can we serve G-d with divrei chol? I dare say that this has been a complete victory for the Baal Shem Tov. And although limud or toras hachassidus was downplayed in many Chassidic groups after the war, there is a renaissance today that may lead to big improvements in this area. I have hope that Chassidim will once again return to the toras hachassidus that may have been neglected – but even many of our litvishe bretheren have taken a more Chassidic position in these areas. * Avoda –. That not only is Torah G-dly, but that all things we do must be G-dly as well. That Tefioh is a most essential component to connect with G-d, and that it must take a primary role in our life. Unfortunately, most Chassidic groups today don't daven with the old fashioned Chassidic feeling, and this is a tragic fact. I think that the culture that we live in is the real problem here and there's a good chance that the Baal Shem Tov wouldn't be terribly pleased with that. Sadly, it seems to me, this is a real failure – and I suspect that it is a direct result of chassidusin becoming communities as I said earlier. In the letter to his brother-in-law R' Gershon Kitover, the Baal Shem Tov wrote that Moshiach will come when his teaching spread to all Jews, and (for some reason people don't quote this part) when all when Jews will be miyached yechudim as he did. I don't know where that is going on – yichudim are currently not commonly taught or practiced in most groups that I know of. I don't really know why this is, but I suspect that this will begin to change. But we can see that these ideas are considered pretty mainstream today – much less so in the Modern Orthodox community – even if they are not all carried out to perfection. I think that things are improving in many ways after taking a real hit in the 1900's – it was a rough century – but the setbacks can be overcome. I personally feel that the Rebbe figure has possibly outlived its usefulness (gasp! ), and it would be beneficial if we would just recognize individual talented teachers or leaders without labeling them Rebbe in the Chassidic sense, so as to avoid the risk of cheapening the word. When I wrote this response I had not seen Rabbi Zwecker's posting. Maybe we understood the question differently, but I'd rather not get into comparative chassidus – an exercise fraught with danger (of oversimplifications and misunderstandings). I agree that all derachim are valid, and we see that they are even encouraged, beginning with the Maggid. The Baal Shem Tov included them all. If you were to ask me where you can go to see the closest living thing to the Baal Shem Tov's chassidus, I must admit that I would say… go to Uman for Rosh Hashana. "This is the sad state of many Chassidusin today; They mimic the movements, but have little idea of what there supposed to be doing. The tragedy is that people begin to think that this is how it always was." I don't think this is only in Chassidus, but most of Judaism. "(and I must say that mussar is actually a product of, or more of a modification of, the derech HaBaal Shem Tov) "
The upshot is that Judaism is not just packaging. The ideal is not that the world should stand in awe of our broad-brimmed hats, shtreimlach, mannerisms, wealth, or any other external. Maybe I should have worded that differently. 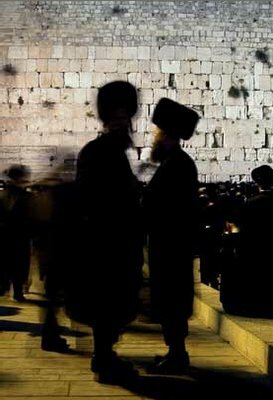 The Mussar movement, however, is a "non-chassidic" response to many of the same issues that Chassidus seeks to address. And R' Yisroel Salanter was terribly persecuted for it. To quote R' Shmuel of Lubavitch: "G-d had mercy on the misnagdim and he sent them a Rebbe. It's too bad they don't appreciate him." chabakuk elisha: R' Yisroel Salanter's approach was mostly rooted in philosophy, and not in Kabolo. May be he wasn't appreciated at that time, but his approach became standard for many litvaks today. (A cool relation to nistar in general and strictly rationalistic/intellectual/philosophical outlook to a big degree). It is ironic though, that his interest in Ramchal (as a philosoph, and not as a mekubol) led some litvaks today to study even Kabolo sforim of the Ramchal, though most of them probably don't realise that he was a mekubol, and still hold him just a philosoph only (while in real life he was severely prosecuted by his misnagdim because of his Kabolo study and his communication with the "maggid" (malach) etc.). Chasidim on the other hand always stressed learning of musar rooted in Toyras hoEmes (Kabolo) such as Reyshis Chochmo, Toymer Dvoyro, Kav haYoshor and other similar sforim. Correct - although, for all I know, R' Yisroel Salanter may have personally been knowledgeable in areas of penimius HaTorah - that is not the stress of his approach. Nevertheless, I think that the case has been made that he took from chassidus and the success of chassidus and incorporated it into his derech. In actuality, he took from everywhere - for example, the "middos" that we trace to R' Yisroel Salnter he based on Benjamin Franklin's works (not unlike Rav Dessler adapting Dale Carnegie). I heard that Rav Gedaliah Kenig zatzal once remarked that the era of the "Rebbes" has passed, and that we are now living in the era of "manhigim." That is, not only was this the case with Breslev when Reb Nachman was nistalek and Reb Noson continued to bear the torch as a manhig (or "mashpi'a"), but not as a second Rebbe; according to Reb Gedaliah's words, this has come to be true of other Chassidic communities, as well. How is this different than the approach of simply learning the seforim of the Chassidishe tzaddikim and taking an eitzoh from here and there (which has become the derekh in some non-Chassidic circles)? Through the manhig or mashpi'a there is still an 'inyan of hiskashrus to the Rebbe with a bittul -- afilu achar histalkuso. Thus the original Rebbe-Chassid relationship may continue via the manhig. Maybe the Lubavitcher Rebbe zatzal had this kavannah when he went to the tziyun of the RaYaTZ, and when he often answered those who wrote to him for help: "azkir 'al ha-tziyun." In Breslev, Reb Noson explains this issue in detail in Likkutei Halakhos, Hilchos Shluchin, Halakha 5; and Reb Shmuel Horowitz explains it b'kitzur in Tzion Hametzuyenes, siman 78 (in the old printing, small format; I don't know about the new one). Whatever the case, one can't be a Chassid without a Rebbe! Habkuk wrote -- "Moshiach will come ... when all when Jews will be miyached yechudim as he (the Besht) did. I don't know where that is going on – yichudim are currently not commonly taught or practiced in most groups that I know of." I don't know where you are or have been, obviously, but here in Jerusalem there are a few hundred Baal Shem Tov's and maybe a Hundred Ariza"ls walking around, and they are all on fire with avodas Hashem. They dont usually wear a badge so the numbers may be greater. I heard this from Komarno Rebbe Shlita of Beit Shemesh, who I am mammash priviliged to learn from, and it seems to fit with what I have seen myself. The point of the Baal Shem Tov was to make yichudim accessable to the common man. See Sefer Baal shem Tov, Amud HaTefillah, 85, 100. Its really quite simple. Think about the words you are saying, infuse them with consciousness, illuminate the words of the tefillah light with your sechel and you are uniting the Holy One, blessed be He and the Shechina. It all starts by thinking about meaning of the words while standing before God. And I must say that I am ignorant of mussar seforim, except Devarim, Koheles, and Igeros HaRambam, but I was basically turned off from musar shmoozed that I attended where the departure point seems to be that we are all rotten and its time scare the hell out of us into modifying our behavior. One of first chassidic teachings (dont laugh, from a sweet self help book of "chassidic sayings,") is that the greatest thing you can do to someone is remind him that he is the son of the king. Chassius clearly accentuates the positive.